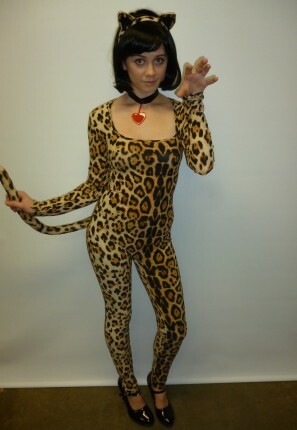 This cute cat costume would be great for those going to an animal party. it is a full length jumpsuit/leotard that comes with choker and ears. Wig is optional.